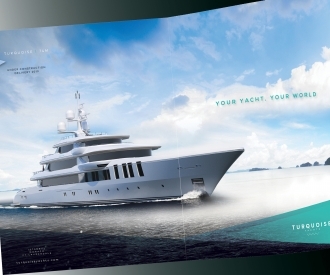 The full body of work in marketing, publicity, advertising and PR for the marine and superyacht market created by the Owen team, over many decades, is substantial. Something we are very proud of. Our international client base illustrates the breadth of our knowledge and experience making us the authority in marine marketing. Here are just six examples to illustrate our extensive abilities. How can you distil 35 years of marketing excellence into just a few words? The milestones and achievements have been numerous as Owens developed the Huisman brand strategy and tone-of-voice and guided their marketing journey during the growth years of this iconic shipyard. Our legacy can be seen in the material we have produced for Huisman over the decades. 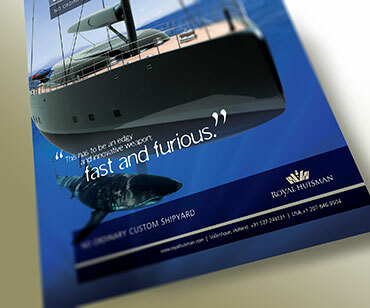 We photographed and produced brochures and books for most of the world class yachts built at the Huisman Shipyard and we were also supporting them on their brand design transition to the Royal Huisman Shipyard and currently Royal Huisman. We also created the well known and respected Brand Identity for their sister company, RONDAL which can be seen inscribed on all their products. Brand positioning and brand personality has been key to our successful support for Huisman using many of the key marketing channels. 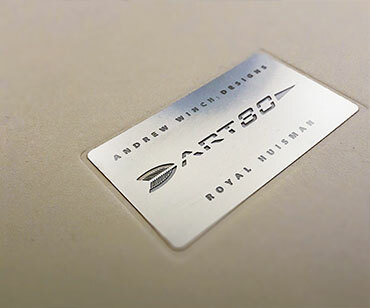 We developed the creative materials and provided the tools to showcase the shipyard in the USA, Europe and the Far East with major presentations, some resulting in new yacht orders , we helped organise press trips to the yard and support for yacht launches. Owen in-house video and presentation professionals providing the staging. The Owens team also supported the PR representation. 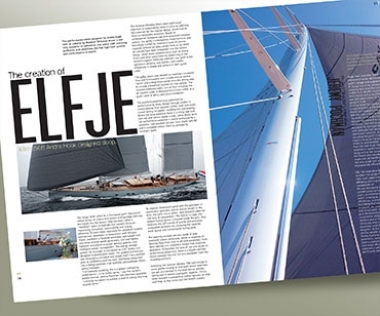 We generated content for the international press with editorial and photography, with many front covers including several for Boat International, Showboats and Boote Exclusiv, supported by a very cost-saving media buying programme for display advertising. We also designed and produced many memorable exhibition stands and booths at the main international boat shows over this period. The Owen marine and superyacht team that has serviced Royal Huisman for this amazing journey is still in place and ready for new challenges. Having known Nick Hill and Niall Robinson from previous business relationships and watching the steady development and success of Hill Robinson Yacht Management enterprise, we were very pleased to be hired in June 2013. Our remit was to refresh their brand and market positioning then inject a creative approach into their global marketing journey. 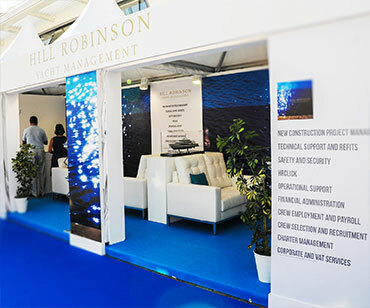 And what a journey it has been, as Owens engaged with Hill Robinson to expand the marketing channels to help grow the exceptional managed yacht fleet, supported by new offices globally and specialist management teams creating a unique offering to owners, captains and crew. 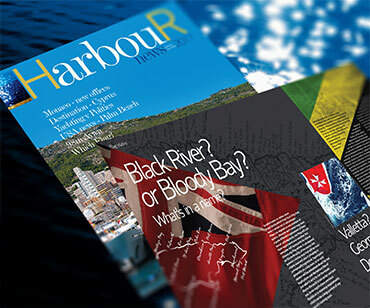 Being a full-service marketing agency, Owens was able to engage with all the marketing requirements including Direct Marketing tools, like their very successful HarbouR news magazine, which we research and write, together with digital support developing the website and other multi-media channels. Our PR team research, write and produce content for printed, on-line marketing and yacht show presence. 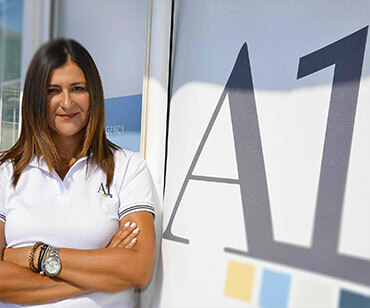 By now you will appreciate our client base is truly international, and an example of this is our work for our Greek customer, A1 Yacht Trade Consortium who provide extensive luxury yacht services in Greece, operating from many locations, employing in excess of 60 staff. Being part of an alliance with BWA, the leading superyacht concierge company, A1 reach out to a global footprint with office representation in most main superyacht locations. 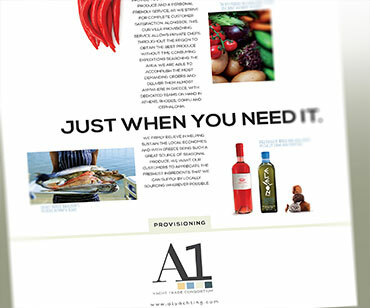 Owens were asked in 2016 to look at a rebranding exercise for the whole A1 enterprise that now includes a shipyard and marina in Rhodes, our remit included signage, uniforms and a new website, although initially our first task a few years prior to this was to design and produce a hard-bound book called 'Hellas Bound'. This luxury publication is gifted to superyachts visiting Greek waters and available in some of the finest hotels in Athens and the Greek islands. Issue number SIX is currently in production by us for publication in early 2019. 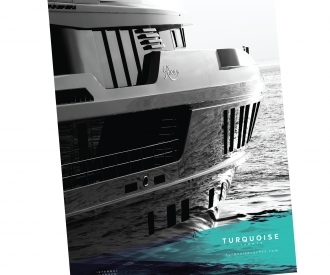 1994 saw the launch of the 50m 'Turquoise' heralded by the worlds press as 'Turkey's first world class superyacht'. In 1997 two leading lights in the Turkish boatbuilding industry formed Proteksan Turquoise and started to build both an impressive fleet of yachts and state-of-the-art shipyards. Owen Superyacht Marketing was appointed in 2007 to help build the brand and roll out a full service agency support package across all marketing channels including PR, advertising, website, videos, photography and print. 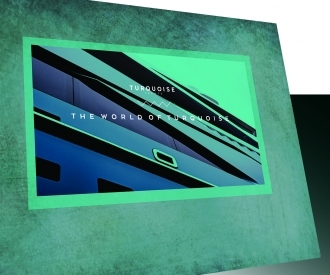 Twelve years on we are still supporting this world class brand, now Turquoise Yachts. 2017 saw the newly sold 47m Razan on the dock at the Monaco Yacht Show with several larger newbuilds currently in the yards. In 2018 'GO', the latest yacht was launched for her new owner. The Owen team was at the MYS in September 2018 to support Turquoise Yachts and all our many other clients at the show. After rebranding exercises and testing during 2017/18, Owens are now delivering a refreshed branding package for global yachting giant BWA. From branded uniforms, delivery vans to office signage, the new look will add a fresh presentation that reflects the growth expectations of the new management. 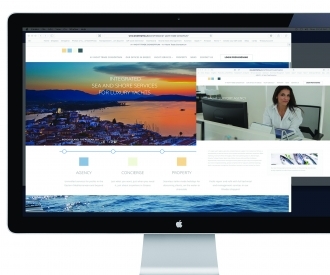 2019 will also see a refreshed website from Owen Superyacht Marketing and a raft of other marketing initiatives and collateral material. The name Moravia dates back to 1863 when it was a marine paint business. A 100 years on it became Moravia Yachting and moved to Monaco in 1962 making it one of the oldest names in the marine industry. Owen Superyacht Marketing is honoured to be contracted to refresh the marketing programme starting in 2019. 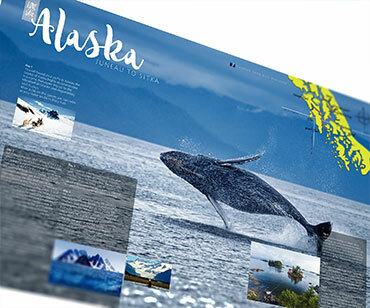 As well as branding considerations there will be a new website and collateral materials to be produced along with developing content for all marketing channels. Now under new ownership, Moravia Yachting will build on the past heritage and successes to expand rapidly in the superyacht yacht brokerage and charter arena. Perfectly placed in the centre of Monaco and global yachting, Moravia is on its way to a revitalised future with the able assistance of the Owen marketing team.